Linton Hoarding Solutions Ltd has been developed to provide a cost effective, flexible and reusable internal and external fire safe hoarding system to precisely suit the demands of shop fitting, refurbishment, new build and fit-out projects. 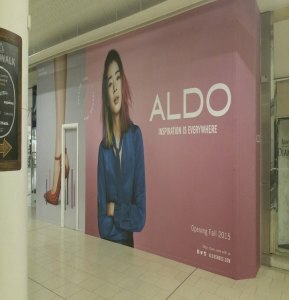 Within the fast moving and demanding shop fitting sector we deliver fire rated hoarding projects from concept to completion in 2-3 working days. We work closely with the malls and centres to ensure access and permits are in order and projects are delivered smoothly and on time to ensure you are able to start your works efficiently and within your commercial deadlines. We pride ourselves on delivering a complete and professional service for temporary hoarding installations. Projects large and small, we’ll provide everything from high-quality fitters and products to full HSE support and guidance to ensure the best results are always exceeded. With a large network of dedicated and experienced fitters spanning the UK, we offer a fast reactive service to our clients and can be onsite the same day to survey and quote for a project. LINTLOCK’s fire rated hoarding system (fire safe hoarding) provides the ideal and necessary protection during retail and construction re-fit works. Our specifically designed fire rated system offers fast installation, bespoke designs and fire rated credibility that also looks attractive to the public and provides the perfect surface for applying vinyl advertising. We have developed our range of “LINTLOCK” hoarding panels with the needs of today’s retail fit-out and construction environments in mind. Each system quickly establishes clean and hygienic customer-facing surfaces and secure work areas. When you see our revolutionary modular systems, you’ll say goodbye to timber, sawdust and paint forever. Linton Hoarding Solutions delivers a complete and competitive package. With an extensive range of proven systems, we offer the fastest delivery, shortest lead times and rapid erection, thus enabling our clients to remain on schedule. We work to LPS 1500 and LPS 1531 standards. By offering practical solutions to solve your requirements, ensuring your job runs smoothly and exceeds your expectations, we aim to become your preferred supplier for hoarding systems. If you have any queries or questions, get in touch with us to find out how we can help you.